This autumn has been amazing and we are very grateful for the experiences we’ve had so far. The boost we got from winning Uutisraivaaja and the excitement of building something new from scratch has made the past months a rollercoaster ride that we have been enjoying. Improving our product has been number one priority for us, but we’ve also focused on reaching international customers, funding and stakeholders. 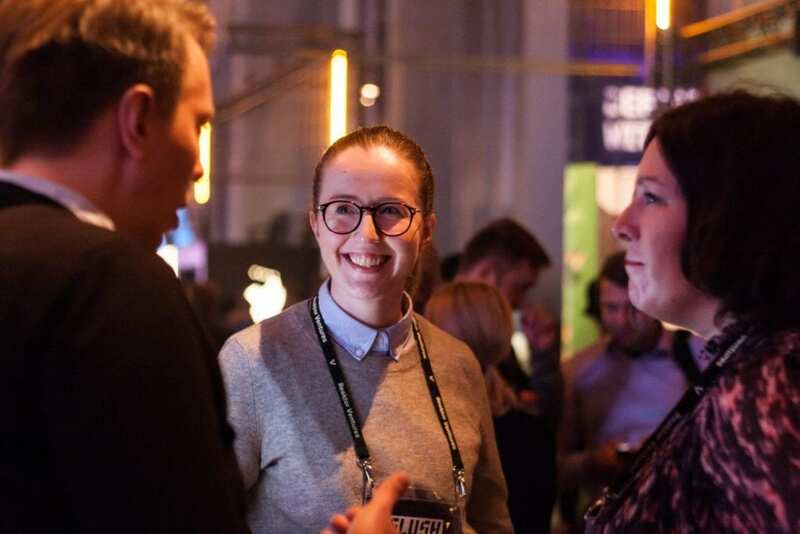 That’s why we have visited several startup and trade events in Finland and abroad. The feedback we have been getting has reinforced the feeling that we are doing something right. 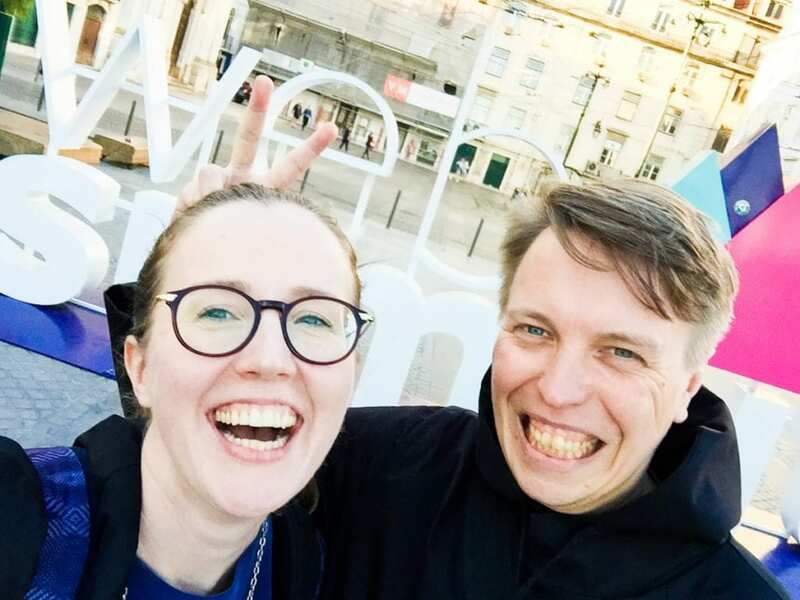 At the same time we have also spent sleepless evenings and nights looking for suitable startup accelerators, filling in applications and waiting for results. 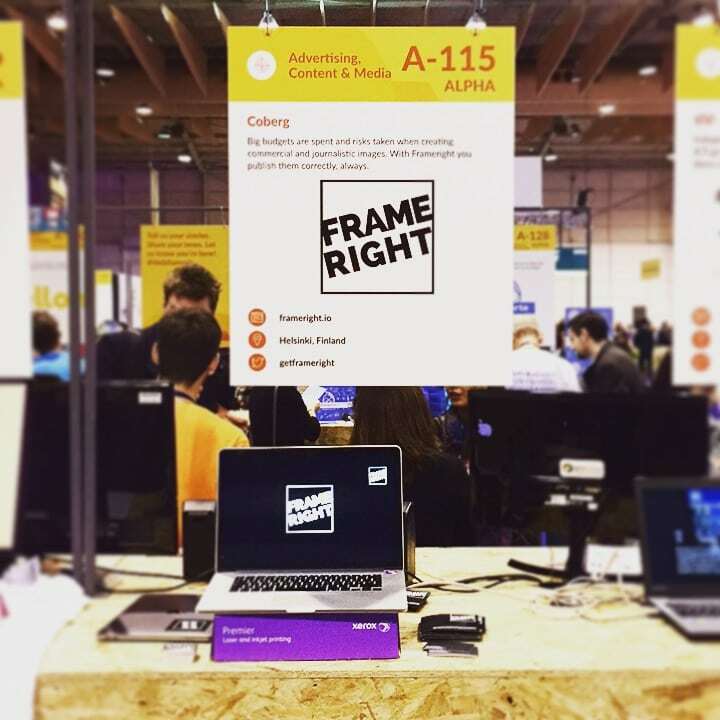 Frameright stand at Web Summit. Year 2018 will start with a big jump into Germany. One of our goals was to find a good accelerator programme that would give us access to a bigger market and an inspiring ecosystem. This we have found in Next Media Accelerator in Hamburg and we will be joining their batch #6 in January. We are extremely excited and look forward to the upcoming six months which we will be spending with them. We would like to use this opportunity to once again thank the Helsingin Sanomat Foundation, the Uutisraivaaja organization and the competition jury for believing in us. Also congratulations to Tripsteri for sharing first prize with us as well as to all other teams for the amazing work they did during the finalist period.